Layering scents is wonderful and rewarding, but sometimes it would be great to be able to blend your own scent and just carry it around with you in a bottle, wherever and wherever you want it. Everything you need to blend and personalize your own fragrance, using Demeter single note scents as your palette, except the fragrance. 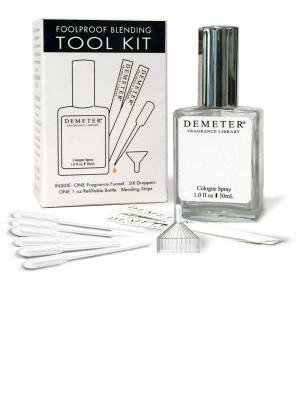 All Demeter colognes, except vials, are reusable, so they can be opened and the fragrances mixed in the Blending Bottle. Express your creativity in scent only the way Demeter allows you to.